For more information, contact Robert Fenstermacher at rfenster@acgusa.org. In both Germany and the United States, the public and private sectors have recognized that digitalization is creating a fundamental shift in the nature of work and causing disruption in nearly every sector of the economy. For the most part, the focus has been on broad policy proposals at the national level with little attention given to the impact at the state and local levels. With more than 60% of the world’s population expected to live in urban areas by 2020, however, it will be incumbent upon cities to develop strategies that can effectively address the challenges brought on by this disruption, as well as take advantage of the opportunities these changes can bring to their communities. In an effort to assist communities on both sides of the Atlantic, the American Council on Germany (ACG) has launched a new initiative entitled Transatlantic Cities of Tomorrow: Digitalization and the Future of Work, a three-year reciprocal exchange initiative for thought-leaders in small- and medium-sized cities in Germany and the U.S. to develop solutions to common challenges resulting from digitalization and to identify innovative approaches to turning these challenges into opportunities for their local workforce and economies. Cities are becoming increasingly important actors at the national and international levels. This project will underscore the role of cities and provide important case studies that can be applied elsewhere by working with state officials as well. Making investments in digital and physical infrastructure. Critical to addressing these issues will be engagement with citizens and community stakeholders and examining social equity in a rapidly changing environment. The three-year program will consist of four separate rounds of reciprocal exchanges visiting each country, beginning in early 2019, and will conclude with a final two-day conference in the spring of 2021 in Washington, DC, or one of the participating U.S. cities, bringing together the participants from the entire project and external audiences, to share the lessons gleaned and to highlight actions that have been or will be implemented in the participants’ cities. The application deadline for the first exchange round in Spring 2019 is January 22, 2019. The exchanges will take place from April 28 to May 4, 2019 (to the U.S.) and June 16 to 22, 2019 (to Germany). 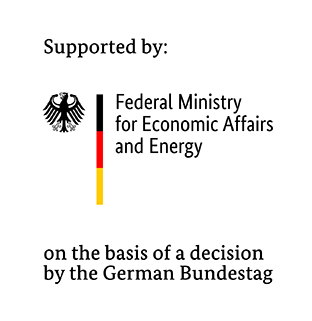 Transatlantic Cities of Tomorrow: Digitalization and the Future of Work is organized and administered by the American Council on Germany with generous support from the Transatlantic Program of the Government of the Federal Republic of Germany through funds of the European Recovery Program (ERP) of the Federal Ministry of Economics and Energy (BMWi). An Advisory Council, representing six key institutions helping states and local communities on these issues, supports the initiative.